The NBA offseason has been crazy so far and Gordon Hayward is the biggest star still left on the market. The Miami Heat, who met with Hayward on Saturday, are competing with the Boston Celtics and the Utah Jazz to land the star small forward. The Heat’s star center Hassan Whiteside is doing his part to help the effort. He, along with teammates Udonis Haslem and James Johnson, joined the Heat front office to welcome Hayward at American Airlines Arena on Saturday. Miami even delayed the arrivals of assistant coaches Chris Quinn and Juwan Howard to Orlando for the start of Summer League, keeping them back in South Florida for the meeting. 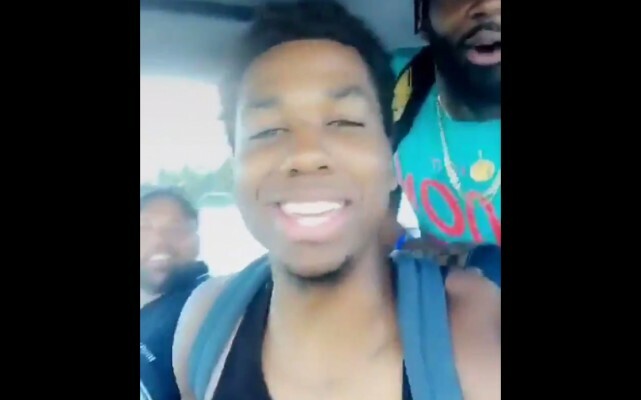 After the meeting, Whiteside took to Snapchat to continue recruiting free agents to the sunny city of Miami. “I don’t know about y’all, but if I’m a free agent ain’t nothing like bringing the kids to the beach after practice” said Whiteside. Hayward, who has two small girls, is scheduled to meet with Boston on Sunday and Utah on Monday before he makes his decision.